After tasting the success with Idhu Namma Aalu, STR is now doing a film with Director Adhik Ravichandran, titled "Anbanavan Asaradhavan Adangadhavan", in which he is set to play three different characters. Even when the first look posters of the film was released, the team had not opened up about the crew details. But now music director Yuvan Shankar Raja has officially posted in his twitter handle that he will be composing the music for this film. "Officially Signed #AAA really happy to be back with @iam_str Ready start music!!!!!!" he tweeted. 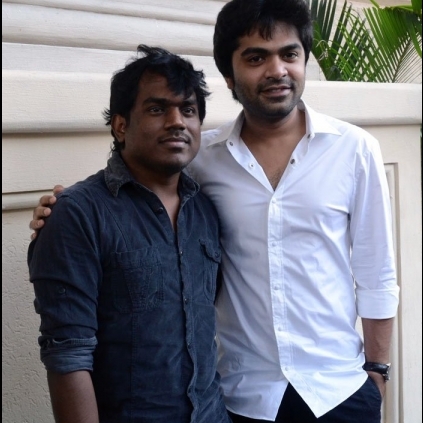 It can be noted that Yuvan Shankar Raja is one of STR's favorite musician and they both have got good track records with films like Manmadhan, Vallavan, Silambattam, Vaanam, etc. Anushka Turns Jyothika For Silambarasan? Yuvan Shankar Raja To Release A Single Track ‘Nee’ From Krishna’s Upcoming Venture Yakkai For Valentine’s Day. People looking for online information on Adhik Ravichandaran, Silambarasan, Yuvan Shankar Raja will find this news story useful.